Ashley Barnes looks to break away from Chris Smalling. 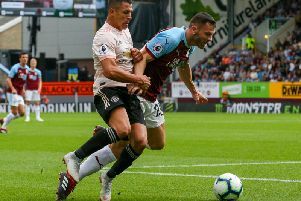 Anthony Martial's second half goal was enough for the visitors to take all three points from Turf Moor. Please refresh this page for the latest updates.